The Audi S range of cars features high-performance V8 engines that are a perfect match for the Akrapovic Evolution exhaust systems. The addition of an Evolution exhaust will increase power and torque levels, while decreasing weight and adding the unique Akrapovic sound. Evolution exhausts give the car a noticeably different character, with a deep sound at lower revs and a sportier note as the revs rise. 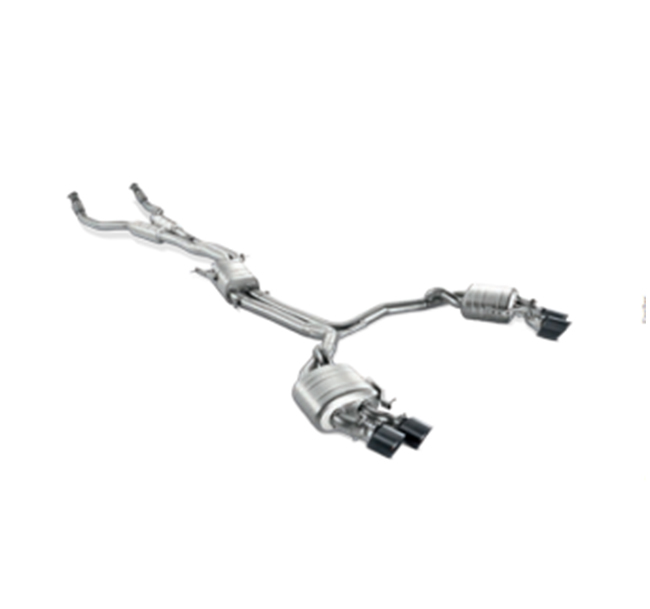 The Audi S range of Evolution exhausts include valves that are steered through electric actuators designed to alter their position depending on the vehicle's driving program and the driver's style. They can also be changed in the car's individual program settings. With four, superbly styled round carbon-fibre tailpipes, the Evolution looks as good as it works on Audi S models.